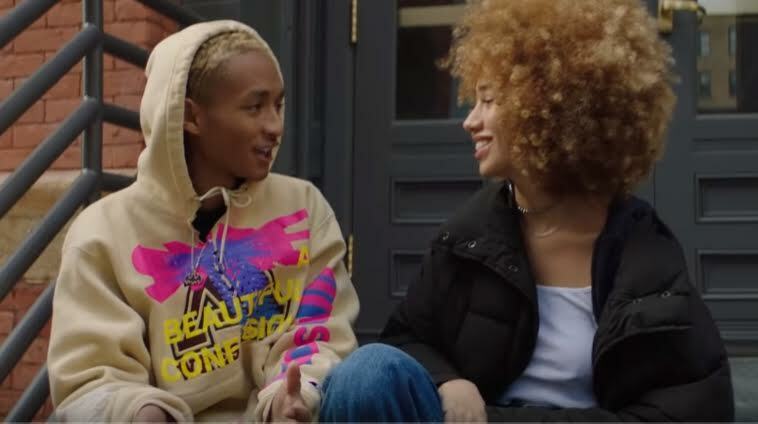 “This is exactly what I imagined when I first heard the song,” commented a satisfying fan under the long-awaited music video for Jaden Smith’s The Sunset Tapes: A Cool Tape Story standout cut, “SOHO,” on YouTube. Truthfully, the visual is everything we thought of when The Fresh Prince’s heir uttered—more like auto-tune sang— the acronym of NYC’s historic downtown district. Starting off with a shot of Soho’s story brick buildings (they’re plastered together like subway riders during rush hour), the clip swiftly shifts to a mountainous area, where Jaden and his significant other are preparing for a picnic. Printed on their blanket (sorry carpet, us mere humans aren’t up on that level yet) is UK’s national flag, maybe he’s subliminally paying homage to London’s very own Soho region as well. The music video continually time travels back and forth from the east to west coast, showcasing the 20-year-old polymath’s ability to woo his shorty whether on Calabasas’ grassy plains, or cobblestone streets of my favorite region in New York.